For the last year and a half or so, much buzz has been generated in the HR world about artificial intelligence — how it will revolutionize business, streamline everything, take everyone’s jobs and force us to live in tiny pods, etc., etc. Chances are pretty good that you’ve been contacted by a vendor wishing to demonstrate how its AI solution will solve every last one of your problems. But how can you determine whether the AI solutions those vendors are peddling are worth your time to investigate — or that the vendors have the capability to deliver what they’re promising? The HR Policy Association hopes to bring in some much-needed clarity on this via a just-announced initiative that will pre-select vendors that have the AI capabilities necessary for helping the association’s members — 400 of the largest companies in the U.S. — meet their talent-acquisition goals. HRPA is starting off the initiative with a “Request for Information” for software companies that are using AI to develop HR solutions. The companies will then be evaluated to determine whether they have the resources and expertise necessary for helping large organizations do things such as eliminating unconscious bias from recruiting or identify greater numbers of diverse talent capable of filling skilled positions. Lundquist, along with talent acquisition leaders from several other member companies, will review and evaluate companies selected for the process. 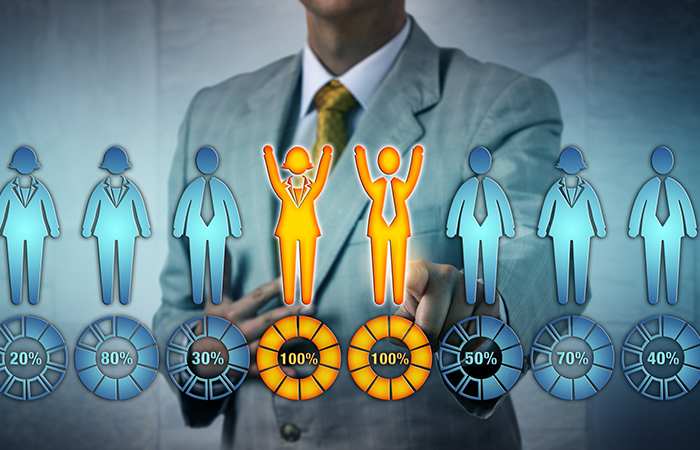 Companies that make the cut will be included on HRPA’s pre-selected list, with the goal being to make it easier for HR and talent acquisition leaders at member companies to identify which vendors are worth their time. Given all the AI buzz out there, this initiative seems very timely. Of course, very large organizations are far from the only ones interested in whether AI can help them improve their recruiting processes and make them fairer and more inclusive. And it’ll be interesting to see which vendors make the list. The best-selling author talks about gleaning management tips for his new podcast. CHROs from the "Most Admired for HR" companies discussed their priorities during a panel at HR Tech.